Scott is a litigator with more than a decade of experience defending clients in criminal cases, representing companies and individuals in commercial matters, and advocating on behalf of lawyers in State Bar disciplinary proceedings. He has experience in both trial and appellate courts. Scott defends clients facing all types of criminal charges. He has represented clients against charges ranging from misdemeanor DUI to serious felonies such as aggravated assault, homicide, and white-collar offenses such as bank and mortgage fraud. Scott’s experience in commercial litigation has given him the skills necessary to defend clients in the most complex of criminal cases. 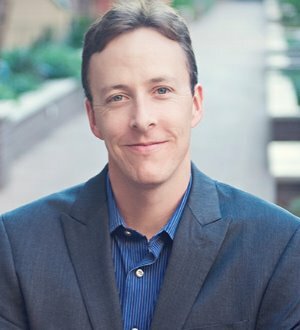 In addition to his work in the trial courts, Scott has expertise in criminal appeals, petitions for postconviction relief (Rule 32 petitions), and motions to set aside convictions (Arizona’s version of expungement). He has also defended his clients’ assets against civil racketeering and forfeiture suits brought by county attorneys and the Attorney General’s Office. Scott represents companies and individuals in business disputes as well as actual litigation. He has litigated many types of civil matters, including commercial disputes, franchise matters, personal-injury and wrongful-death cases, insurance bad-faith matters, and claims for employee benefits under the Employee Retirement Income Security Act (ERISA). He has significant experience representing hospitals and other health care providers. Scott has assisted health care clients in complying with the federal and state laws relating to fraud and abuse. He has represented health care providers in government investigations, internal investigations, criminal cases, civil litigation, and exclusion actions by the Office of the Inspector General (OIG). Scott defends his fellow lawyers in disciplinary proceedings by the State Bar. He also advises attorneys on matters of professional ethics. Represented a hospital in connection with a federal investigation into a potential disclosure of patients’ protected health information. Obtained a dismissal of multiple State Bar complaints against an attorney client. Represented multiple clients in filing petitions for postconviction relief, in cases ranging from armed robbery to capital murder. Defended a provider of social services in a case alleging healthcare fraud. Persuaded a state court to release the assets of spouses seized in a multi-million-dollar civil forfeiture case. Audited the compliance program of a hospital system. Successfully argued to the Arizona Supreme Court that it should overturn a criminal sentence that exceeded the trial judge’s legal authority. Acted as local counsel in a wide variety of litigation, ranging from commercial disputes to wrongful death actions.